A bit of a dilemma presented itself this week. The publication you are reading refers, in its title, to the nineteenth century and to the Victorian Steampunk era. It purports to be related to my explorations in that time. Of course, I often travel forward or back in time on these pages. But with this new home I am creating in Winterfell Evergreen, comes this question: am I still living in the 19th century? This is Winterfell and when my main home was in Laudanum, there was no problem, as the Victorian Steampunk aesthetic is part of the landscape there. But outside of the southern towns, Winterfell is a dark fantasy realm – countryside, woods and rivers, rural. This sure ain’t Babbage. The 19th century has been a good base of operations for me. There has been plenty to explore here and it has been a good jumping off point to other times as well. And the relationships the various Steamland nations have with each other and with other nations that don’t fit the Victorian Steampunk theme but do have similar interests, has led me to many interesting adventures. But now, in Winterfell, don’t I live in an earlier time? Do I have to change the title of this publication? Do I have to change my overall focus or approach to this journal? Do I have to get a whole new wardrobe? Today, I had some of the warehoused furniture delivered to Evergreen and have been setting up sitting rooms in the castle. The Victorian pieces look good in this medieval castle. They do. Wouldn’t a Duke in the 19th century, living in an old castle, use the furniture of his own time period in his home. Of course, he would. Plus, a time traveller collects things in his travels and brings some of them back to his home time. The more I think of it, the more I see no reason why I can’t live in the 19th century here in Evergreen, on the fringes of Winterfell. Why not? It won’t stop visitors from other time periods from coming here in their own time and interacting with me. What’s the problem? I trust you have heard of parallel time? I shall not change the title of this publication nor my approach. I shall not change my style of clothes. I will go right along mashing up time periods here just as any other Winterfallen would, thinking nothing of it. For if parallel time exists anywhere, it surely exists in Winterfell. It was not long after I discovered new land in Winterfell that I sought to spread the word. Other well-wishes were received from near and far. There were visitors as well, Lady Rachel came down from Mourning Wood, arriving by air on a winged, white horse a la Pegasus. (Her departure was so dramatic against the blue sky…I wish there was video.) Mr. Greymyst, my new neighbor by way of his purchase of my Haven properties, stopped in to view the construction project and offer advice and shopping tips. But Robyn was the first visitor. She always is, it’s a tradition. She came in from the future for a quick look-see. We didn’t say much, mostly we just smiled and said, yeah, this is cool. And laughed a lot. Several other friends stopped by. I told them all that once we are ready to open, there will be parties! We are constructing a village on the continent in the northwest corner of the territory which connects with Haven to the west and Mourning Wood to the north. The Emerald Inn will be moved from Laudanum to this village in the near future. The village will also host a gallery featuring my photographs of Winterfell, a couple of shops, my private office which will also host a visitors’ information center, and a museum. Down the hill from the village to the north there will be a cottage for visiting writers to rent for a small fee while working on their manuscripts. I hope to have an additional cottage for writers in the future. Down the hill in the other direction, on the water, is the harbor master’s office. It seems like another beginning for me in this world. Much has happened lately to make me feel that way. Mostly good, not all. I wish I could fix the not good. But all I can do is go on. This is Evergreen, my new hometown. I will have my own homes and I will have a little town, a village, to run. And I won’t have to go far to get from my castle or cottage to my pub or office. It reminds me very much of an earlier day in this world, on the Mainland, when I first started Pine Tree Square. And you were wondering where the name “Evergreen” came from. Explorer’s Journal: New Land in Winterfell! But sometimes – not very often, mind you, but once in a great while, if you’ve been in this game long enough, sometimes it’s just too damn easy! Sometimes, and don’t tell any explorer you know that I revealed this, sometimes new land can just fall into your virtual lap! Like this past Sunday. I had observed a game of football (my side was victorious!) and, while puffing away on my victory cigar, was pondering the proper choice for the post-game meal. It was a tough choice, the kind of thing better considered over a fine ale. So I poured one and walked to the back window of my cottage in Haven and peered out. ‘Ah, it’s snowing!” A nice light snow was falling, the kind that makes one want to walk through it. I put out the cigar, grabbed a coat and hat and exited the back door, bringing along the ale. I stepped into the snow and took in the night air. I walked over to the edge of the cliff on the east side of my island, looking at the open ocean and the snow and sipping my brew. What a lovely winter night. Back inside, I put my supper on the table and poured another ale. I had the radio tuned to a jazz station, from the future. (It’s a very special radio.) I was about halfway through my meatloaf when I heard something. A deep sound, low in pitch, a broad sound but muffled, not sharp. It lasted…must have been 20 seconds or so. What could that have been? A minute later, there it was again. Longer, this time. Then silence. Then the sound, a third time. I reached for my pocket watch. A minute-fifteen on that last one. I realized now I was not only hearing the sound but feeling it as well. Here it was again now. A bit louder and now a rumble to it. An airship? I looked out my windows, front, then back. The back window was rattling. I exited the back door again, no coat or ale this time. I walked toward the cliff. The sound subsided again. I stopped, stood a moment. Waiting. And I heard it start up again, slowly growing, rumbling, louder, longer. And I could feel the earth moving. Earthquake? Must be. But I was guessing. I really had no idea what was happening here and I couldn’t see a thing. The sound and rumbling of the ground lasted over three minutes this time, ending with what I can only describe as a groan. What the hell? The snow was falling harder now and it combined with the purple fog of Winterfell to make visibility just about zero. “I must be standing near the edge of the cliff,” I thought. But I couldn’t see the edge. Very gingerly, I took another step forward. And another. And another. And another. “I should be swimming by now.” I turned around, re-traced my steps, went back to the house for proper clothing and a lantern. “That’s better,” I said back out in the cold night. Ulysses The Cat sat in the window, watching me through the snow, as another round of the deep sound and slow rumble cascaded about me. Again, I could feel the ground move. I trudged back along the path I’d created to its end. I stopped. I turned and looked left, then right. I was standing well beyond the tree line. Thoughts raced through my head. “The edge of the cliff must be eight or ten steps behind me. There was ocean here an hour ago! I should be standing in mid-air above the sea!” But I was not. I was on solid ground. Again the sound and rumble approached from the west and the north and maybe the east and from below me as well. This was no earthquake like I’d ever known. But an earthquake it was for there could be no other explanation, not one based on science at any rate. I thought of going back inside but was it really any safer there with the land moving? In the dark and the snow, even the lantern only let me see so far. I could not see the ocean but I could hear it along with the wind. “That ocean’s out here somewhere,” I thought with a chuckle. I continued away from the house. After a minute or so there was another tremor. I turned but could no longer see the lights from the house. I was still on firm ground. As I looked ahead, another surprise, a break in the clouds. The last tremor seemed shorter. The next one did too. And the interval between them seemed longer as well. But maybe the second is the same observation as the first. I laughed. My watch was in my pocket but I would not take it out in this weather. It was all I could do to hold onto my lantern and hat. As the minutes passed, the tremors fell in length and number (though they did not stop completely for several hours). The clouds overhead were breaking now and there was some moonlight to help my lantern. The snow was now just a few tiny flakes here and there but the wind held steady at a pretty good clip. I walked to the sound of the water. When I reached the cliff it was…well, not really a cliff anymore. It was now a hill that rolled down to the water. There were islands in the distance to the east. A high one, a low one. I turned north, not knowing how far the land might go. There came a point where the high ground there also gave way to a slope. I descended the hill and continued quite a way until I came to a wood, the first trees I had seen since those around my cottage. I poked my way through the trees and the brush and held up the lantern when the footing became odd. As in oddly regular. A path? I got down on one knee, my gloved hands pushing the snow from right to left to clear the ground before me. A path! Where…? I did not have to calculate the direction nor the mileage, it hit me immediately… This must be Lady Rachel’s wood. I have just walked from Haven to Mourning Wood! You’d have to be able to walk on water to do that! But it was solid ground all the way. I sat down in the snow, wishing I had taken a flask on my way out the door. But how could I have expected to be out this long, go this far. It’s impossible! I followed the path a bit more, just to confirm my conclusion. As the clouds had lifted the moon was now providing more help and I stopped at a clearing and looked and saw Lady Rachel’s home, Carenduna, in the distance. “I really have done it,” I thought, “I’ve walked across the ocean.” It made me laugh out loud. The hour was late and I would certainly not call on Lady Rachel tonight as there was no emergency. This could wait until daylight. Aside from this new land mass and the two islands, everything else remained the same. Carenduna looked as if it were just another night. Just a snowstorm blowing through. No damage, no trouble. I headed for home. As much as I wanted to explore the entire area that had newly appeared, I decided it best to sleep for a few hours and get up early and get out there as the sun exposed all. But there was one thing I had to do before bedding down. In fact I had to do it right now before anyone showed up. Although, who would – could – show up here? This place isn’t even on the maps yet! Who would know to stop at my Haven place in the middle of the night and walk east – EAST! I laughed at the thought. Or to go to Lady Rachel’s at this hour and walk SOUTH! More laughter. I was now running as hard as I could through the snowy high ground back to Haven, huffing and puffing in the cold winter night. Upon arrival at the cottage I tore the door open and ran to my study. There she is! I grabbed the pole with one hand and the furled cloth with the other and quickly carried the Winterfell flag out into the night. Ulysses The Cat screeched and ran from the door as I exited. I trotted now – I had to catch my breath – and made my way back to a spot I calculated was halfway between Haven and Mourning Wood. I picked out the spot from a distance as I trotted and as I got closer, I ran a little faster again. My heart was beating fast, my mind was racing. I unfurled the cloth and grabbed the pole with both hands now and held it up over my head and declared, “I claim this land in the name of Lady Twilight, Seneschelf of Winterfell!” And I slammed the flagpole down into the ground. Well, not exactly ‘in’ to the ground. ‘On’ to the ground may be a better description. The ground was, of course, frozen. “Ouch!” I sounded a loud ouch. “Ouch, ouch, oooowwwwwch. Oooooo.” I trudged back to the house for a pickaxe and a shovel. “I’m glad there was nobody around to see that,” I grumbled to myself. I noticed the tall pine trees next to my cottage and thought of the similar trees in Lady Rachel’s wood. At that I further declared, “I Christen this land, Evergreen! Huzzah! Huzzah! Huzzah!” It had been awhile since I’d gotten off a good huzzah. Mind you, I had thought about such loftiness in my daydreams, I do admit it. But in all the excitement surrounding the discovery (And hey, they don’t get any easier than that, do they? New land just plops itself down at my back door in the middle of the night when nobody is looking. Guess there is such a thing as good luck, after all.) and claiming the land and exploring the next day and the purchase negotiations…well, it hadn’t hit me ’til the others said it after the meeting. Duke! Yeah baby, I’m the Duke, that’s right. Well, there actually is more to tell but I really should let you go. Just let me say, Dear Reader, that whenever you hear one of us explorers going on about finding new land and all that went into it – the effort, the pain and the tedium (and the rotten food) – they are probably telling the truth. But sometimes, all you gotta do is be in the right place, in the right time. And to my fellow explorers, if land should ever fall in your own virtual lap, no worries, you can still get a very long story out of it. I like to try and get the first crash of the day out of the way early. This morning was some sort of a record. Aside from an Instantaneous Crash – and who doesn’t enjoy that – or the Crash Before I Even Finish Rezzing type of crash, I do believe today’s first crash may hold on to become my Crash of the Day. We’ll see, the day is young. But morning brought a very nice arrival to this world with no apparent reason to fear a crash. As I sipped my coffee and gazed out my castle window at my ship, SS Ambassador, the day was further brightened by the collection of friends who appeared on the day’s roster as well as scattered chit chat on the radio. 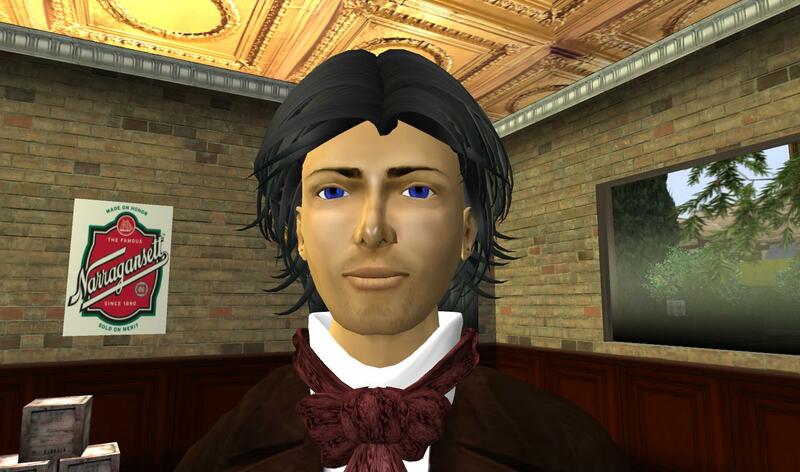 But before I could even begin to consider which friend to say hello to first or which station to follow (ISC Chat, Steampunks of Babbage, Winterfell) – BOOM! The crash. One minute? Surely not two, no, no. I hadn’t even done anything yet. Not even a cam swing, just landed, rezzed…and that was all she wrote. I relogged into the world and immediately dispatched a message to one of my friends, a former neighbor. “I like to get the first one over with early,” I said without explanation. “So I noticed,” came her quick reply. “Oh! That’s it! That’s my first line. Crash of the Day?” I reminded her. (I have been threatening to write this article for some time now.) “Oh yes,” she said, possibly thinking to herself, “Most certainly, I keep all of your comments about articles you may write in an index on little, white cards. I am always sorting through them, noting your changes. For yes, I have nothing more rewarding nor better to do with my life than keeping track of your ideas for articles.” Wiseass. But before I could consider where to take this piece after that fine introduction above, just before the digressions, what do you think happened? BOOM! Crash. At this rate maybe I won’t need to recall crashes from the past. Today’s output may suffice. I actually have crashes on my calendar this day. I am planning to attend an event in Winterfell at which there will be a number of people and much dancing. I understand there’s no cover but it’s a two-crash minimum. Rimshot. Yes, there is much I could write about crashes. I could tell you the story of the crash that happened at the most inopportune moment. No, holy moly, what am I thinking? I can’t tell you that! Well, needless, to say we all have our little stories of the most inconvenient crashes and they cross over many categories, so I could be referring to most anything, really. Now, where was I? Yes, or I could regale you with tales about crashing at a dance or an important meeting or ceremony or… the list goes on and on. Then there are the crashes of others that have a direct impact on us. The singer at the concert for example or the “deejay” at the dance. Or the other end of the one I referred to above…almost referred to above. Well, we’ll leave that. So, really, what can one say about crashes that we all haven’t said or thought sooooo many times before. It’s just that I’ve started to rank them now. It is beyond “The ______ Crash I Ever Had” stories, it is now a daily ranking. The Crash of the Day. It has come to this. But at least now, I will no longer have to threaten to write an article called Crash of the Day. Long ago one of my groups needed a new office building. We couldn’t find what we were looking for and there was a deadline involved. I decided to build something. I had not even tried to construct a building since my earliest days in this world. I had tried and failed. More than once. Was it actually good? Or did it show some potential and he was being encouraging? Or did it just stink and he was too polite to say so? Some time later I came into the acquaintance of another builder. I asked him to take a look at this same building which we had now been using for some months. I asked him to use his most critical eye. Oh my, did he ever! He criticized the design, the balance, the textures and the construction and each more harshly than the last. He did like the color, however. So, I gave up after that. Awwww, you say, no! Don’t give up! Try, try again! No, it is hopeless, I assure you. Just recently I was looking for buildings for a project I am working on. Not finding what I needed, I knew of course I should turn to a professional for a custom job. But, for some silly reason, I set out to construct one of the buildings myself. Well, at least she told it to me straight, not like the first guy. And at least she let me down easy, not like the second guy. As he handed me the bottle of pills, the doctor said, “You may not use alcohol while you are taking these.” “How long will that be?” I inquired. “Two to three weeks,” he said. No alcohol for two to three weeks? Ye gads! The pills never work for me. Don’t know why but that’s how it is. But the doctor says to take them so I do. I look for relief – mental relief – from the pain elsewhere. Sometimes it is alcohol. Sometimes I call on my friend Seamus for something more exotic. Sometimes the simplest of pleasures will do the trick. This time the doctor says no alcohol and Seamus is away in another time. What will be my oasis from the pain for these two to three weeks? Fortunately, I know the answer. A bar of chocolate. Or rather, A Bar Of Chocolate. I sit in the cottage on the island I have just purchased across the water from my castle with a bar of chocolate in hand and a cup of fine coffee within arms reach. This bar of chocolate contains almonds. Chocolate and almonds. The creator of this delicacy was a genius! A friend from the future told me dark chocolate is good for pain. He usually knows about such things. I chose not to confer with the doctor about this nor research it in the Winterfell Library. I trust my friend. And I love dark chocolate. I would truly hate to discover my friend is wrong in this case. A pint of stout or glass of red wine would push this moment beyond perfect. But I have the doctors orders and I will follow them. And so, I nurse my pain. I sit by the fire, looking through the window at the snow, with a cup of fine coffee and a Bar Of Chocolate. And pity for those who are not doing the same. Although the holiday season was as hectic as usual, I was able to spend some quiet time in The Castle on both Christmas Eve and Christmas night. Each night upon returning from holiday visiting, I walked through Absinthe, its snowy streets empty as the hour was very late. I cut through my neighbors’ properties and walked up to The Castle. I passed quietly through the hallway by the guest room so as not to wake my sister Annie, who had come to Winterfell for Christmas. On Christmas night I lit the fire and a cigar and poured a nightcap. I raised my glass to the end of the Christmas rush. I drank, I puffed, I exhaled. It’s over. Phew! On the table was my favorite newspaper, the Caledon Evening World. (It had become so after the favorable reviews it gave my speaking engagements in Caledon the previous year. Vain? Yes, I admit it. But ‘good press’ is nothing to shake a stick at.) I reached for the newspaper but stopped myself halfway. “No,” I said aloud. I sat back in my favorite chair. This is my quiet time, I thought. Not the events of this world nor the other will creep in tonight. I am off-duty. I kicked off my shoes and puffed and sipped away. But then…footsteps…and a woman’s voice, “Danko?” It was Annie, of course. She reached the top of the stairs. “What are you doing up so late? Couldn’t sleep?” she asked before I could ask her the same. “I have been going through the letters,” she said. I poured another drink. I looked to Annie and nodded toward the bottle in my hand. “Yes please,” she said. I had been meaning to get to the letters ever since our brother Levon had brought them during his visit last August and September. But I had been so busy and I never had enough time to get into the right mood to do it. The letters were those of our late parents. Uncle Manuel had found them in an old, scorched wooden box when he went through the old house to ready it for the renovations. He had put them in a satchel and dispatched Levon to bring them to me. I am the oldest and Uncle thought it my privilege – and responsibility – to be the one to go through them. But although I was honored by his gesture and quite interested in seeing what our parents had written, it had became more of a burden than a pleasure to have these letters in my possession. When Annie arrived for Christmas she asked why I had not written her about the letters. She knew Uncle Manuel had sent them to me and had been waiting impatiently for me to write her with whatever I had discovered in reading them. I told her how difficult it had been for me to find the time and I showed her the satchel in my desk drawer. While I was out at a Christmas party with friends she had gone to my desk, taken the satchel and repaired to the guest room to begin the task. “Well?” I said as she sipped her brandy. “This is not my first drink tonight, Brother,” she started in a serious tone. “I made a pot of tea to begin with but I had to switch to something stronger as I read. I broke into your cabinet and stole your whiskey!” she said with a smile, though a slight one. I laughed softly. She took another sip of the brandy. I sat silently, waiting for her to continue. “They are so beautifully written. I had tears,” she whispered. We both sipped our drinks again. Annie told me the letters – at least the ones she had read so far – were from different periods in our parents lives when they were apart. The first was when they were young and Father was off to war. The second, when he was travelling with the band. The third, during Father’s days as a time traveller. The letters from that period were never mailed as it would not have been possible. But they had been opened. Annie guessed that they read each other’s letters when Father returned to our time. But there was a fourth period when he was away for some reason Annie could not identify. “I remember that time,” I said. “I was twelve, maybe thirteen. Mother never told me why he was gone, just that he was ‘on a journey.’ I never asked Father about it, not even as I got older.” Whatever it was they did not refer to it in their writing but Annie thought it was something quite serious and sad. She said it was obvious they were not apart by choice. “You must read them, Danko,” she said “you must. The love they had…and the struggle of being apart in those times…you will have tears too.” “I will read them, for sure,” I said. “I think I was reluctant…I don’t know…I was afraid they would make me sad.” “They will,” she said, “but you will smile too. They are beautiful. And the insight they give. Oh my!” Annie looked away to hide a tear. She sipped her brandy. I turned toward the fire to hide mine…and sipped. We talked late into the night, not about the letters but about our memories. About Christmases past at the old homestead and New Years visits to Uncle Manuel’s farm. About brothers Levon and Hudson and cousins Robbie and Dylan and the family band. And about how our parents raised us and taught us to play music and about Father teaching the boys – but never his only daughter – about the science and secrets of time. And about the brothers teaching Annie all the secrets Father had taught us and how Mother knew what we were up to but never said a word! The conversation was happy and sad all at once. There were no more tears though, just smiles and quiet laughter. We never mentioned the fire…though it is always there. We never speak of the fire. At the celebrated kaffeeklatsch often referred to in Caledon as “ISC chat,” the local gentry were discussing the shortcomings of their typists. The common problems of grammatical and spelling errors were discussed and it was agreed all around that the current crop of typists leaves much to be desired. Of course, my entry contained typos and spelling errors, not to mention my usual failings with punctuation. Yet, others chimed in. Mr. Hax noted the penchant of typists to blame others for their own mistakes. Miss Rain likewise stated that she had come up against that issue. I have seen it myself. A typist…err, Secretary…can get away with that blame game but God forbid we should try it. Surely a double standard exists. But all at the gathering agreed we are helpless to do anything about these matters. We remain at the mercy of our typists. For me, that would be Mr. Afterthought, full name: Danko Afterthought. (Yes, as incredible as it seems, we do share the same first name. And yes, we have heard all of the jokes, thank you very much.) I must admit, however, that Mr. Afterthought’s value was underlined this very day. I’m not sure now whether his promotion to Secretary is quite enough. I may, after my experience in his absence, have to refer to him as Mr. Secretary to fully honor his place in this world. For example, in polishing this article for publication, I found that the word used above, “renumeration,” is not in the dictionary. Messrs. Merriam and Webster contend it is “remuneration.” Have I heard this word incorrectly all these years? No, in fact. I have heard it correctly even though the word itself may be incorrect. Or not. I researched this problem for a much longer period of time than seemed appropriate. Many, many others write the word as I do, renumeration, but a search through other dictionaries found agreement with both Merriam and Webster. I have elected to continue to say renumeration and be in good company with many others, even if we are all wrong. If this were not Monday, Mr. Afterthought would be here and would tend to such a matter as this and I would not have been put through this torture. Nor would I have passed it on to you. January. And a Happy New Year it is here in the southeast of Winterfell. I am writing from my living room as Ulysses The Cat patrols the hallways of The Castle. My secretary, Mr. Afterthought, has been organizing the incoming correspondence that arrived while I was away over the holidays. It is piled up on the desk in my personal office downstairs. I suppose I should be tending to it but just one look at the stack caused me to reach for the whiskey and come up here to get away. I have been jotting down an eclectic collection of notes. A list of things that need doing, another list of ideas for my properties, random thoughts about future land purchases, scraps of writing ideas for future stories in this journal, parts of jokes (“Two gryphons walk into a bar…”), official business topics to discuss with Lady Twilight, etc. The mind wanders from one subject to another but the post-holiday “mindfog” – like a mental hangover – keeps me from focusing on any one thing. Instead, it’s bits of this and bits of that flying rapidly through the brain and into the notebook. As I look out the window at a tourist who is exploring the grounds I think about my own need to explore again. I have been too busy or too tired to do much more than poke about these last couple of months. Wandering around aimlessly from time to time is not the same as ‘exploring.’ I write ‘Explore!’ on my list of things to do. I did accomplish a bit today. I visited a garden store and purchased some pine trees and completely reworked the complement of trees on the grounds here. From the marketplace catalogue I purchased several wireless sets to play around with. I do have quite a fondness for this whole new area known as ‘radio.’ I reach for the dial now and scan away from folk music to classical. I took my ship out for a sail of the eastern waters of Winterfell but the border crossings proved quite treacherous. Over drinks at The Emerald Inn last month, Lady Rachel told me she had had a similiar experience and had since put her ships in drydock. I must investigate this issue further. This is added to the list. I am off now to Rosehaven to look at the available apartments there. As much as one would think that a quiet place such as here in The Castle or up north at my cottage would be best for writing, I seem to be most comfortable writing in a city setting. In the past I did most of my writing at my old Laudanum home. When I gave that up upon purchasing The Castle it did cross my mind that I might need a new place to write. 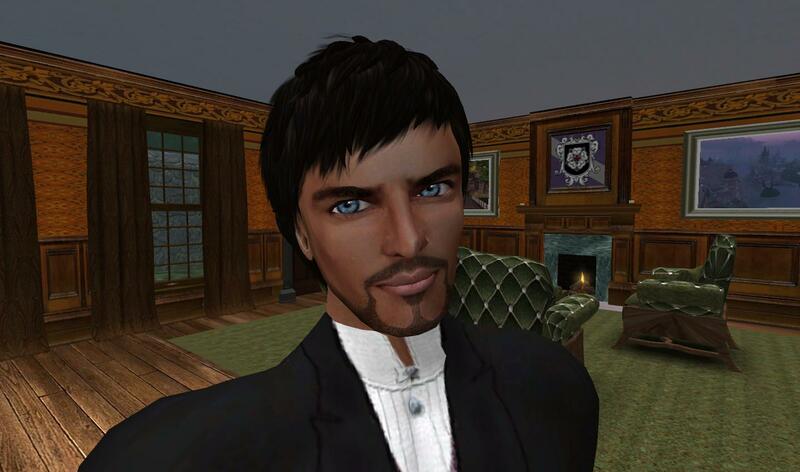 I have written at The Emerald Inn and at my official office in Absinthe from time to time but these places are open to the public and while I don’t mind the interruption – it is good to take a break for a chat – I often get so involved in the writing that I don’t notice the presence of others. Their calls of “Hello” do not penetrate as The Muse has taken over. They must think I’m quite rude but I assure you that is not the case. And so, on that note, it’s off to Rosehaven.